If you have a gardener on your Christmas gift-giving list, you have a lot of great options. Gardeners never have everything they could possibly need. There are always new gardening gadgets, pruners, hoes and containers. Ergonomic tools for our aging gardeners, hand tools and even kid-size tools are available in many different sizes and shapes. Power tools abound, from mowers to chain saws, mulching machines, blowers and trimmers. You know someone is a serious gardener if a load of compost is on their wish list. And they may need a wheelbarrow or cart to haul it with. There are plants to purchase, including trees, shrubs, fruit trees, blueberry bushes, houseplants, bulbs and seeds. Holiday plants are always welcome, from the popular poinsettia to amaryllis, red bromeliads, cyclamen, kalanchoe and orchids. 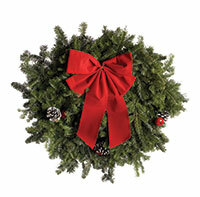 Living wreaths or garlands, topiary rosemary plants or other holiday plants are other options. A subscription to a popular gardening magazine or one of a myriad of gardening books will always be a good choice. Whether their interest is fruits and vegetables, ornamentals, houseplants or herbs, there is a book on that topic. Consider the gift of membership in a local plant society such as the Native Plant Society, Herb Society or Orchid Society. If they love vegetables but don’t have room to grow their own, give them a share in a CSA (community supported agriculture) program where they get fresh vegetables each week during the growing season. If they are new to gardening, get them started with a raised-bed kit. Raised-bed frames come in a range of sizes and shapes. Just add some soil and seeds to get them growing when the season begins. If mobility is an issue, there are now salad tables and herb beds where you can stand while you garden. Garden scooters and kneeling benches also make gardening more accessible. The most important input for a garden is water. To help your gardener, there are hoses, drip irrigation kits, spray-wands and nozzles, and sprinklers. A fancy watering can or hose-end sprayer would also be welcome. And to make sure they know what the weather is in their yard, a home weather station or simple rain gauge is a sure hit. No gardener will ever have enough garden gloves — or be able to find them when they need them. 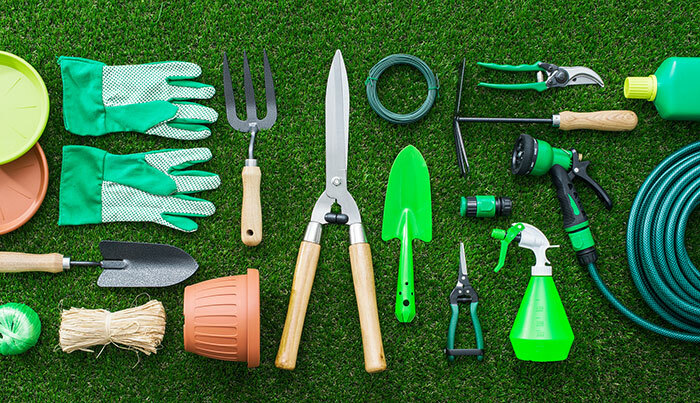 Gloves aren’t the only wearable gardening item — safety glasses, mosquito-repellent clothing, sun-repellant clothing, hats, aprons, kneelers and, of course, garden shoes are a favorite. From clogs to boots, there is a wide range of options in myriad colors and patterns. For the serious gardener, you could give them a greenhouse. If they already own one, there are many gadgets that can be added, from automated heaters or watering systems to shelves, storage components and pots. Hydroponic and aquaponic systems are available for folks to grow plants indoors and in greenhouses. In addition, there are living-wall kits that allow you to grow a green wall. Plant lights have also come a long way. Instead of “grow-light bulbs” there are now specialized LED light kits with many different options, which make growing transplants easy. You can also grow herbs or salad greens year-round on your kitchen counter. High-tech has also hit the gardening world. There are plant sensors that you put in the ground near your plants that monitor water and fertilizer needs. A rain sensor is a smart gadget to add to your sprinkler system to avoid watering when it is pouring down outside, and there are even containers for houseplants that talk to you about the needs of the plant. There is also an endless array of art for the garden, from statues and fountains to wind chimes and mobiles. Glass objects, metal-works, stone and bronze pieces abound. From small garden flags and rugs to large trellises and gazebos, the list of outdoor living choices is almost unlimited. Think about patio furniture or benches, potting sheds or a garden umbrella. Grills and outdoor kitchens continue to gain in popularity as more people live in their yards, as well as their homes. Janet B. Carson is an extension horticulture specialist for the University of Arkansas Cooperative Extension Service.